Rene Furterer Absolue Keratine Repairing Concentrate 100 ml order online. This repairing concentrate is your daily care for split ends and the hair lenghts, it melts into the hair and leaves a traceless protection that helps to repair hair on a daily basis. The hair is easier to style, regains softness, shine and resilliance. 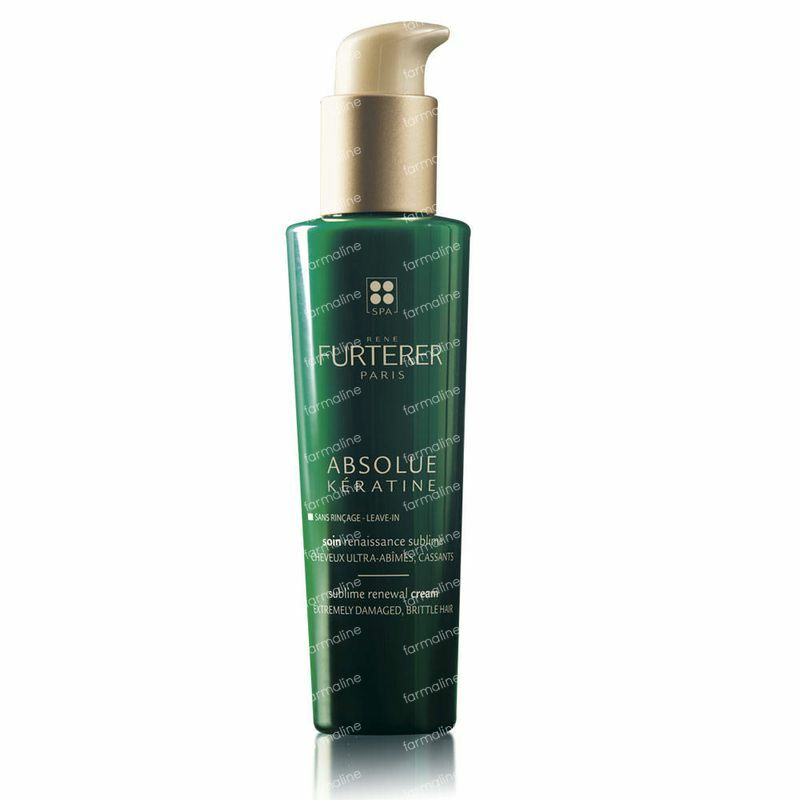 A repairing concentrate for the daily protection of ultra damaged hair. No silicones or rinsing. Apply the concentrate onto damp or dry hair, a pea size is enough and can be used daily or as often as needed. No need to rinse out. Water (Aqua), Cetearyl Alcohol, Ethylhexyl Palmitate, Dicaprylyl Carbonate, Camelina Sativa Seed Oil, Cetearyl Glucoside, Sesamum Indicum (Sesame) Seed Oil, Tocopheryl Acetate, Alpha Isomethyl Ionone, Arginine, HCL, Behentrimonium Chloride, Caramel, Cetrimonium Chloride, Coumarin, Fragrance, Glycine Soja (Soybean) Extract, Glycine Soja (Soybean) Seedcake Extract, Hydrolyzed Wheat Protein, Isopropyl Alcohol, Limonene, Linalool, Lysine, HCL, PEG-32, PEG-400, Phenoxyethanol, Polyquaternium-37, Propylene Glycol, Sodium Benzoate, Tocopherol, Yellow 6.